Curious About Cracking into the Fitness Industry? First things first, what kind of attitude helps if you want to get into fitness training? How can you mentally prepare for the path ahead? How about physical preparation? The most vital attitude is a genuine enthusiasm to serve others. If you are enthusiastic and excited about helping individuals on their journey to get fit, then being a trainer is a perfect fit for you. In terms of the path ahead, I don’t think you need to physically or mentally ‘prepare’ per se, but I do think some self-analysis is useful, so ask yourself why you want to be trainer. I would recommend that you listen to personal trainers and class instructors to ascertain if your perception of a trainer is akin to the actual day in day out reality of being a trainer. I’ve been coaching for 23 years now and am proud of my career. I have always loved the process of coaching people. I was lucky though as I did my learning behind closed doors in many respects; I gained experience before Facebook and Instagram ever existed and my business and entrepreneurial spirit grew organically. The world is so different now, to survive as a freelance trainer, let alone be ‘successful, you have to embrace being an entrepreneur from the get go. Branding, PR, social proof, USP and value proposition are all concepts you have to get your head around if you are to get a regular flow of new clients and thrive as a brand in this industry. Some newbie trainers focus far too much on the social media/ PR/business/branding of the job and if ’successful’, they get more attention than their coaching ability and track record deserve. These trainers earn little respect from peers and come and go within a year or two as everyone gets found out eventually. On the flip side I know trainers working with elite pro athletes who are ‘too busy’ to get a decent website sorted, let alone post updates on Snapchat. They then may complain about getting zero media attention and wonder why they make less than some averagely qualified D-list celeb trainer charges. While I feel for these guys they are guilty of not moving with the times. My advice to all new trainers is to spend 70% of their time becoming a great trainer and 30% on being a business (even if a gym employees you, you are still your own brand and must act like it’s your own business). With this in consideration, in addition to a genuine enthusiasm for teaching, I would say a positive, open attitude is key. You will have to spend time doing stuff you don’t necessarily want to do, whether it’s drumming up new business or reading textbooks about physiology and biomechanics. Treat it as a career rather than just a job and you will find being a trainer incredibly rewarding. What’s the best pathway into fitness training? What courses and experiences would you recommend? Your own fitness should be incredibly important to you before becoming a trainer. If you don’t love fitness then this isn’t the job for you! Your own sporting and athletic experiences give you insights and personal stories that are really valuable when inspiring and teaching others. There are thousands of courses out there. The real learning (both practically and academically) happens way after you receive your Level 3 personal trainer certification. Premier do a wonderful course, but I would find one that suits your budget and accept that if you want to be great, you don’t stop learning once you become ‘a trainer’. The truth is, once you become trainer, that’s when the learning really starts. As with anything in life, your choices come down to your ambitions. The fitness industry in Great Britain has grown a lot in recent years. If you want to be really good, soak up what’s going on in the entire global fitness scene; don’t limit yourself to London. Read blogs, listen to podcasts and actually hire all the trainers you admire for one off sessions and get as much advice as you can from people that are actually doing the job and living the life you want. Be a sponge, be humble and be always remain a student. How long does it take on average to train to become fitness professional? Depends on how you define a fitness professional! You can do a level 2 fitness instructor courses in two weeks and be a legitimate ‘fitness professional’ or it could take you ten years to enter the industry if you want to complete a masters and then a PhD in physiology before getting a job. This is where the industry has some issues. It’s not very well regulated and labels such a coach, trainer and fitness professional are so generic that they are not really that useful. You can’t make a judgment of experience or quality from someone’s job title. How can you supplement your qualifications, i.e., nutrition knowledge, niche skills? There are a wide variety of qualifications, workshops and masterclasses, not to mention academic papers, books and personal research to be done after you get your basic qualifications. An increasing number of training organisations are producing courses for trainers. As well as the level of qualification, remember to judge courses not just on their content but on also who teaches it. What’s their experience and level of expertise? I would suggest talking to respected trainers and see who they recommend. For Strength and Conditioning I would recommend the NSCA (USA) and for Sports Nutrition I would recommend the year long ISSN Diploma led by Laurent Bannock. Regarding niche activities, there are so many courses and ways of learning, so again investigate who is offering them. I have recently launched my newest qualification, Methodology X, for trainers who want to learn how to train fashion models. I would recommend it for those who are interested in this particular area of expertise and growth in their business. I always tell the trainers I mentor to spend 10-20% of their monthly earnings directly on courses and workshops. Invest in yourself. In this industry, if you’re not growing and improving you become obsolete very quickly. What can you expect in terms of earnings when you’re starting out? Very little! According to payscale.com, the average personal trainer in the UK makes less than £20,000 a year and the first year will be far less as it takes around a year to build up a client base. In London a freelance trainer for a commercial gym will make about a two thirds of what they charge per hour. If you work at a trendy boutique gym then you’ll make around half. Hourly prices range from £30 to £100 in London. 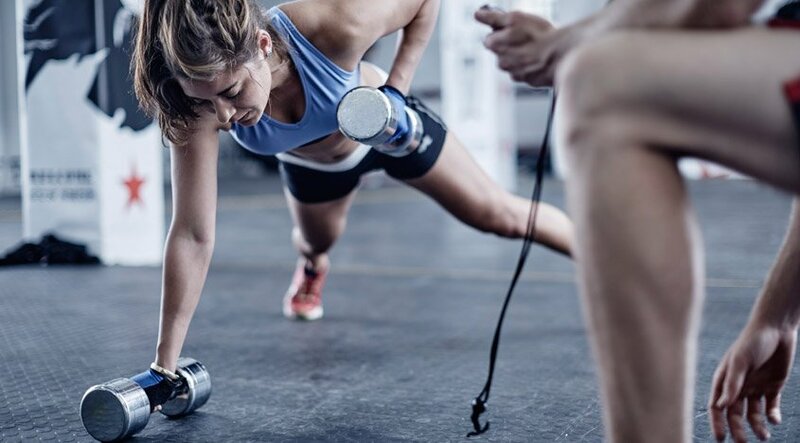 Those high profile trainers charging £120-200 per hour are not the norm and have usually been around for while and also have bigger outgoings, such as employees or their own gym to contend with. Within the industry as whole, there is so much potential to make serious money, but coaching face to face is not the easiest way to do that. If you want to make more money than most trainers then work harder, work longer and you will make more than others. In addition, once you find your feet you can produce ebooks, webinars and a various online services that you can scale. However, if you want to make millions then I would advise you to ditch coaching and think and act like a true entrepreneur, creating new markets just like the creators of Soulcycle and Zumba. What does your working day look life? How can you achieve a work/life balance as a fitness trainer? Well, my life as coach has changed over the years. As a trainer of course you can have life balance, you just have to be disciplined, so for example if you don’t want to work mornings or weekends just don’t offer those slots out. If people want to work with you they will be flexible. Nowadays I run a growing company while also juggling seeing private clients, writing for magazines and consulting work. New clients have to go through an application process before they can meet me, regardless of how rich or famous they are. Back in the day I would take anyone on if they paid me! Choosing who you work with is definitely one the biggest perks of being in demand. In terms of my own work and life balance… I don’t have a work/life balance right now. Nor do I want to. My team and I are working crazy hours, as we are on a mission to become an insanely great company so we can make a huge and positive impact in the world. When you have big goals, be you an athlete or a business owner, work/life balance often takes a back seat. How can you build a loyal client base? Is it best to specialise or be an all rounder? Great question. To build a loyal client base and to have clients that stay with you for years, I think it’s best to be an all rounder. I’ve been working with one of my private clients for twelve years now, and her goals and needs have changed so many times! If I was just the weight loss, running or yoga guy I’m sure that she would have got very bored of me by now. This leads me onto an important point. Generally speaking I feel that most new trainers specialise in one type of training far too early. Unless you have very a passionate calling to one area of fitness I would keep your mind open and develop all areas of fitness and coaching for at least the first five years of your career. In my experience this will make you a better trainer in the long term. What’s the best way to spread the word about your business/ personal training offerings? Being good is the oldest and still the best way of getting clients. Social proof (clients /press talking about you on social media) as mentioned earlier is important. You need to really believe that you’re a great coach to market effectively. and the best way to believe it is to be it! If you train one person and you get amazing results, they have fun and you inspired a new mentality, then they will tell one or two of their friends about you. Train one person badly they will tell 10 people about you! In terms of practical advice, share exercise knowledge online, write blogs, set up a podcast, establish partnerships with local businesses such as hairdressers, physios, nutritionists; work alongside other trainers, do talks, do free group classes to showcase your ability, set up exercise advice groups on Facebook, train friends in return for video testimonials, connect with journalists, learn about SEO and growth hacking. There are so many things you can do! What background work do you do when you’re not physically training clients? How much work is involved behind the scenes creating fitness plans etc.? The programming of client plans is the most technical part of being a trainer. You need to develop a plan that is based on real science taking into account long term, short term, primary and secondary goals but you can’t be too rigid either. They definitely get easier and quicker to write the more you do it! I also spend a lot of time texting and Skype calling clients when they are abroad. As a trainer you may only see your clients face to face one to five hours a week; it’s the time that they are not in the gym which makes a bigger difference, for instance how they eat, their lifestyle, etc. How do you keep up with changes and developments in the fitness industry? I work hard so I can be the change rather than having to pander to what is trendy. I get to meet and hang out with amazing people; my management team, our brand ambassadors and in-house coaches, partners and of course not forgetting my amazing clients. I spend my days with talented, inspiring cool people… to me that’s what I love the most. Finally, what are your ultimate ‘dos’ and ‘don’ts’ as a trainer? p.s: do you have a trainer? Do trainers have trainers?! I don’t have a trainer, no. But I always hire an expert to help me when I want to learn specific new skills.